Facebook has already pushed back the launch of its smart speaker, but now it looks like when it does launch it’ll avoid the US, at least to start with. 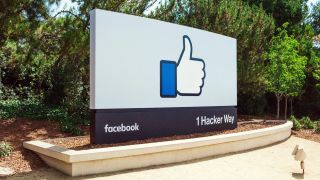 According to a report from CNBC, Facebook was originally planning on using its F8 conference to launch a pair of smart speakers, but pushed the launch back due to the Cambridge Analytica scandal, and when they do launch, Facebook may start with an ‘international’ launch first. The speakers – one of which we’re expecting to be a smart display device akin to the Echo Show and the other a more traditional smart speaker in the vein of the Google Home – will be powered by a voice assistant borne out of the ‘M’ feature you may know from Facebook messenger. M was a digital assistant that was able to take cues from your messages and prompt features like direct payment if you discussed money. M was shelved in January as a Messenger assistant but lives on in other forms, like a newly touted translation feature. One of the major concerns with M in Messenger was the fact that it was always ‘listening’, monitoring everything you said, feeding into a fear of constant observation. We were told in no uncertain terms by Facebook’s VP of Messaging David Marcus that M wasn’t harvesting your conversations in order to serve you adverts, but the fear is a difficult one to shake. What’s interesting is that this is the exact same fear that many people have about smart speakers (whether founded or not), and with the close scrutiny that Facebook is currently under in the US, it seems a fear the social media giant is keen to circumnavigate. If this rumor does hold to be true, we’ll be interested to see which markets Facebook does target, as the UK is currently as wrapped up in the data scandal as the States, and without those two major audiences, it’s difficult to imagine Facebook making waves in a field already dominated by Amazon and Google.